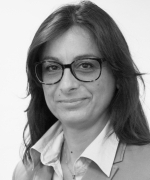 Dr. Paola Di Giulio joined the Vienna Institute of Demography as a research scientist in October 2008. Her current research interests include socio-economic and gender differences in disability, ageing, health and mortality, with a specific focus on comparative analysis and the study of populations with specific characteristics. Dr. Di Giulio graduated in statistics at the University of Rome La Sapienza and she completed her doctoral degree in demography at the same university in 2004. In 2014 she got the Italian national scientific qualification (Abilitazione scientifica nazionale). She was employed in the University of Rome La Sapienza and in the Max-Planck-Institute for Demographic Research, Rostock, Germany.